Well hello there and welcome back to Writing Rambling! 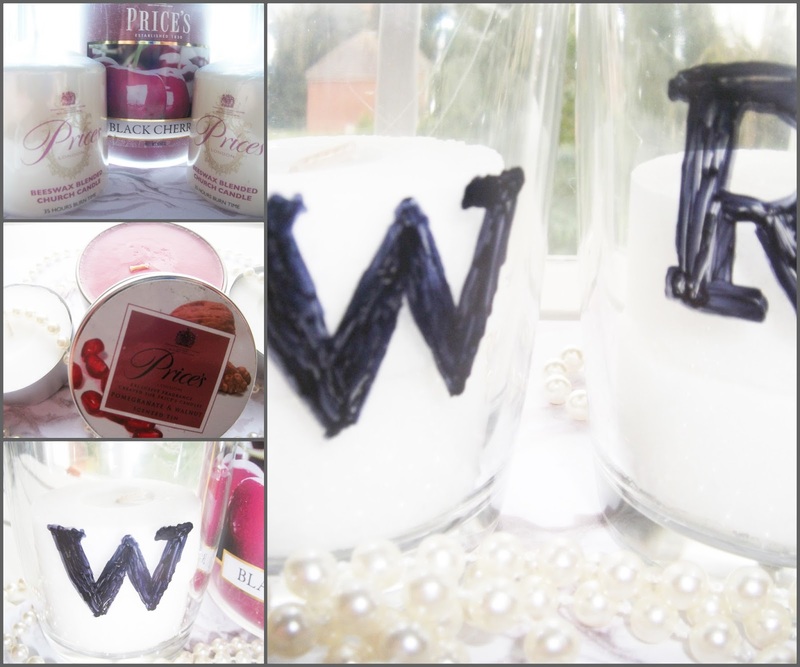 Today I'm talking about #DIY Initial Candle Holders, the ones we see everywhere over on Instagram and in many a blog photo! After not having success getting my hands on the ones I wanted, I came up with the idea of #DIY, why not make my own? It couldn't be that hard, surely?! Thankfully I found it to be almost too easy to do! All I needed was two old tumblers, (we have plenty of those lying around!) a black permanent marker and the letters printed out to trace around! Simples and I couldn't have been happier at how quickly it as done! Now I have my very own Initial Candle Holders - and you can too! After posting about them on Twitter, Prices Candles got in touch and offered to send me some candles! How awesome was that!? I was super happy let me tell you! 4 of their 'Open Window' Tea-lights "which employ Odourfoyl technology to neutralise unwanted odours leaving your home smelling clean and fresh"
A Pomegranate and Walnut Seed scented tin. It smells amazing! 2 of their Beeswax Church Candles. I could not have been happier when I opened up my big box, which just seemed to be hiding a whole shop's worth of candles! I am amazed and super grateful to the team at Prices Candles for sending over these candles...my baths will never be unlit again! The Beeswax Church Candles are too big to fit into my Initial Candle Holders at the moment, but the little tea-lights fit perfectly so I shall be using them from now on! They do all burn well, I tested them out when I relaxed in the bath last week.....I do love a candle lit bath..! The only scent I'm not overly keen on has to be the black cherry unfortunately....there's something about it which just doesn't appeal to my nose, but I'll take it with me when I move next week and it will sit in my bathroom, looking pretty! I had to stack the tea-lights up in my Initial Candle Holders for them to look full, but don't they look great in these pictures!? I really am so grateful to Prices Candles for sending these over! I'm definitely going to have fun playing around with them! Who knows, in a few months time with plenty of burning, those Beeswax Church Candles may well fit into my Holders! I highly suggest you check out Prices Candles for affordable candles with a whole host of scents, they've actually just launched their Citronella Scent for Summer, which just looks incredible! 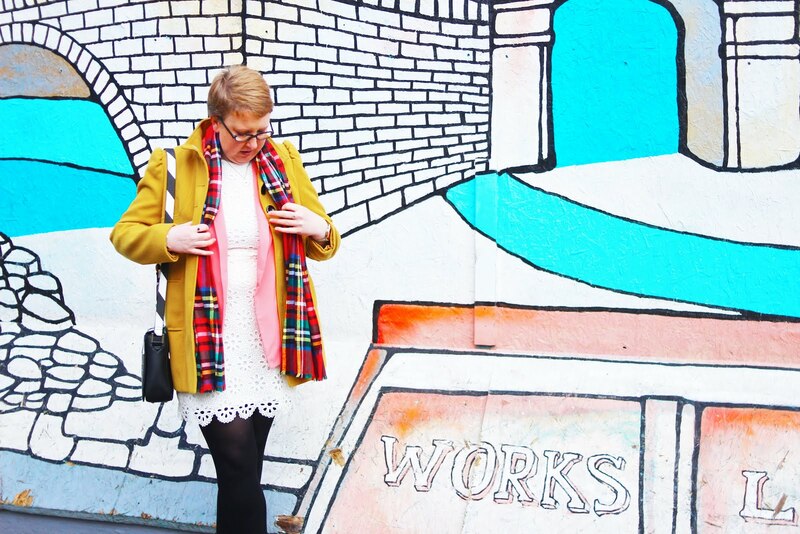 I'd definitely love a bit of yellow for the upcoming seasons! I bet they smell incredible....! 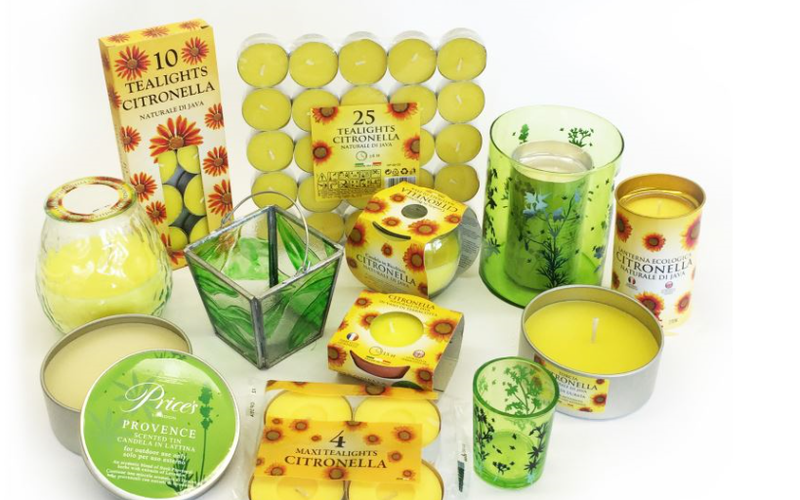 Are you a candle fan!? Do you own an Initial Candle Holder? Have you ever thought of making your own?? Have I inspired you to give it a go!? It really is a simple #DIY!